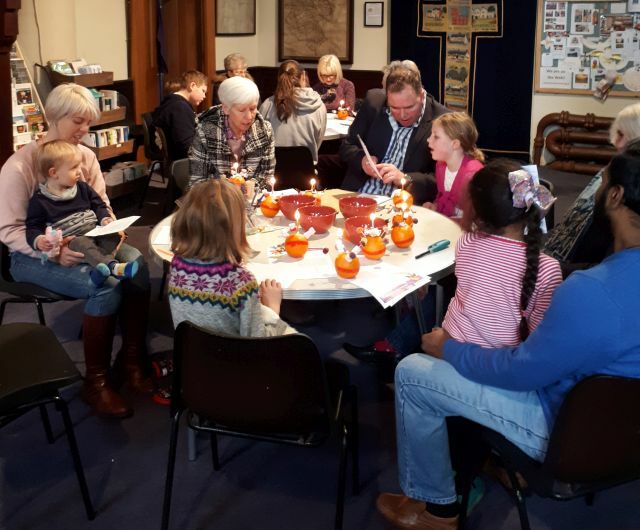 Messy Christingle – 27th January, 2019. 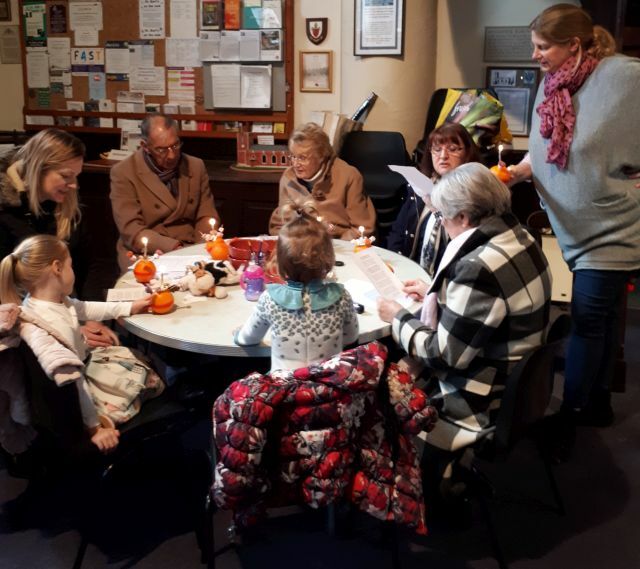 In our Christingle Service we learnt about the work the Children’s Society does in the U.K. to help children who find themselves in troubled circumstances. 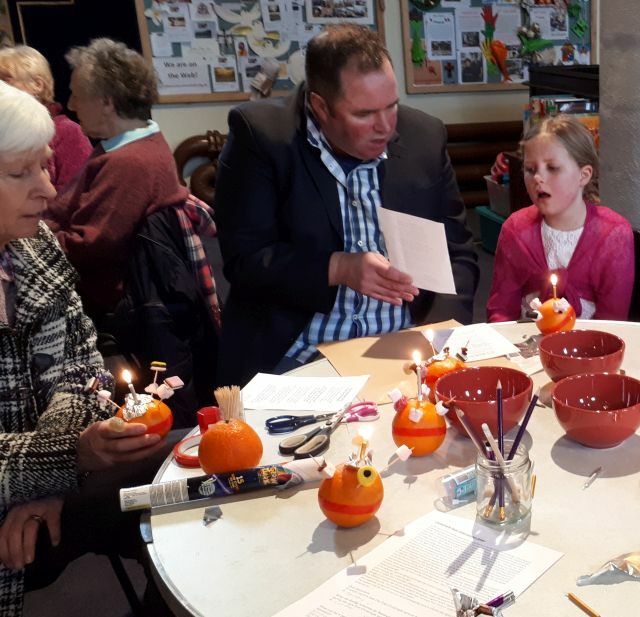 We had a quiz and made our Christingles, then had a sketch about a postman delivering letters from God. We ended with The Grace before our refreshments and there were lots of biscuits and chocolate bars to eat and take home. After the service the church donated £100 to the help the Children’s Society keep up their good work.